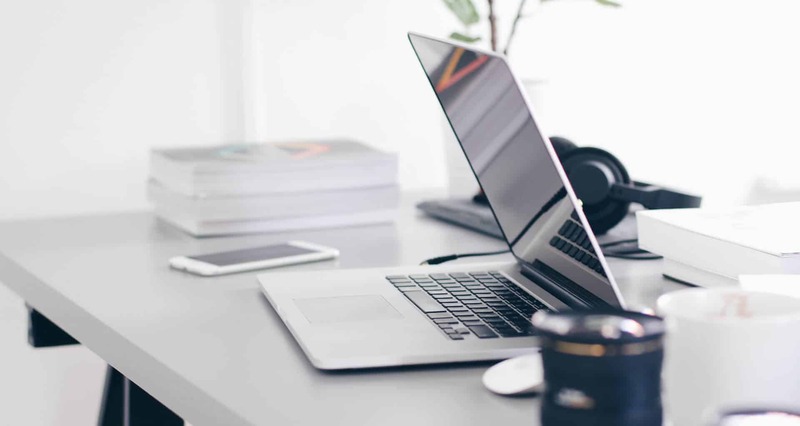 As part of Apple’s new education initiative, Apple has refreshed a new e-learning tool for teachers to quickly get up to speed with what Apple offers, and StudioPieters. has followed the whole course. Apple Teacher helps alleviate that with some very approachable training. Signing up for Apple Teacher requires an Apple ID, and asks which grade is being taught, which subject, and where. The school name appears to be optional at this time, but city and state are required. 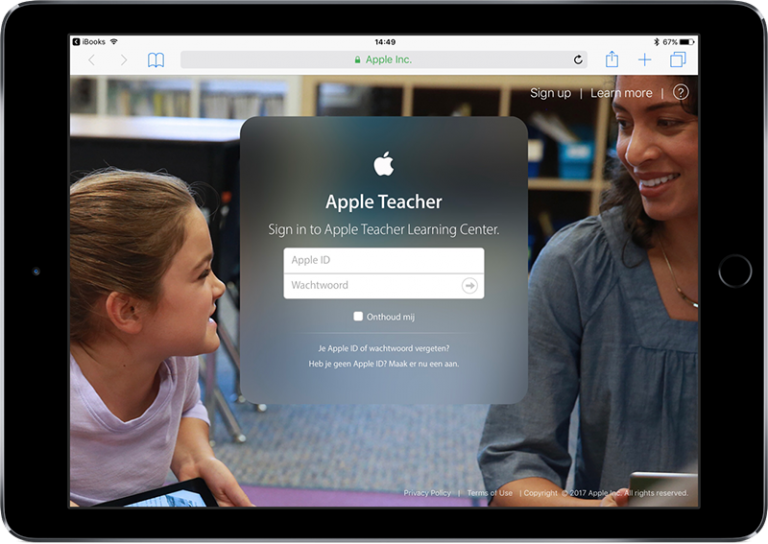 Once inside Apple Teacher, a welcome screen gives an overview of the portal. Teachers select the iPad or Mac, with eight quizzes for each device. 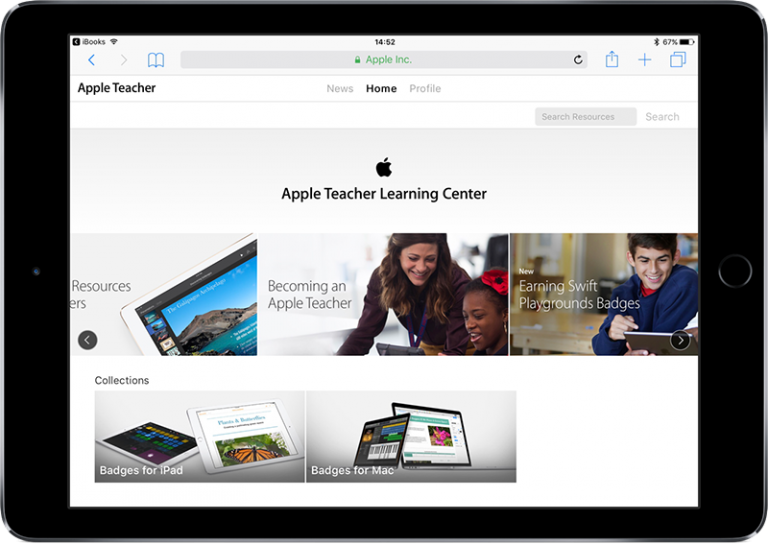 Pass all eight quizzes, and the teacher officially becomes an “Apple Teacher,” is awarded a special Apple Teacher badge to share with the world, and gains access to more learning resources and badges in the future. The row below the carousel is the Collections row. It consists of Badges for iPad, Badges for Mac, Clips, and the Classroom App. There are three apps for education that were talked about today, and not a lot of clarification about the differences between them. Apple School Manager (ASM) is about data management, ID resets, and account and device administration. Classroom is about live management in the room. Schoolwork allows teachers to create and send assignments (not just watching information from Classroom). Apple Teacher is the portal that teaches about Classroom and the apps, with project work in mind. After clicking through a few parts of the collections, a Recently Viewed row appears that covers just what it sounds like. This training feels very similar to resources Apple has made in years past. It also feels similar to the training made available to Mac Specialists prior to and in the very early days of the Apple Retail Store. Apple strikes a balance between too much study and too long a quiz, while making resources available to do just what they need to do with Apps and the Classroom tool. It’s official. You’re an Apple Teacher. You’ve demonstrated your skills and completed all the requirements to become a recognized Apple Teacher. Here you’ll find your official signature. Learn how to use it in news announcements, presentations and more in the guidelines below. Congratulations! You earned your Swift Playgrounds logo. You’ve demonstrated your knowledge and earned all the Swift Playgrounds badges. You can now use the Apple Teacher logo featuring Swift Playgrounds in place of your original logo. Here you’ll find your official signature and guidelines for using your updated logo in news announcements, presentations and more. Now that I have successfully completed both courses, I got the taste. I have decided to focus now on something that I have wanted to do for a long time. I am going to learn Swift 4.1 so that I can eventually write an app myself.